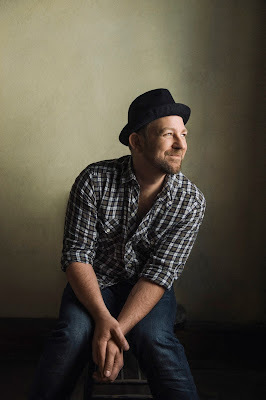 Multi-platinum recording artist Kristian Bush is set to appear on Great American Country Playlist on Monday (10/5). Catching up with host Suzanne Alexander, Bush will discuss the recent NASH TV Films documentary, WALK TALL: The Journey Of Sugarland’s Kristian Bush, which chronicles the singer’s private life and career. He will also share stories from the road and talk about fan-favorite song “Light Me Up,” from his debut solo album SOUTHERN GRAVITY. Bush has been leaving his mark on music for more than two decades. The singer, songwriter, producer and multi-instrumentalist started his career with folk-rock duo Billy Pilgrim in the early ‘90s; in 2004, he exploded onto the country music scene with Sugarland, surpassing sales of over 22 million albums worldwide, achieving five No. 1 singles and winning numerous awards, including GRAMMYs, AMAs, ACMs, CMT Music Awards and CMAs. To date, he has garnered six BMI Awards for his songwriting, and in 2011 he founded the music publishing company and songwriting collective Songs of the Architect. Recent collaborations include Laura Bell Bundy, Larkin Poe, Dan Tyminski, Pretty Little Liars star Lucy Hale and more. Bush is currently serving as a celebrity ambassador for Goodwill Industries International, with “Trailer Hitch” featured as the centerpiece of their #GiveItAway campaign. For tour dates and more information, visit www.kristianbush.com.